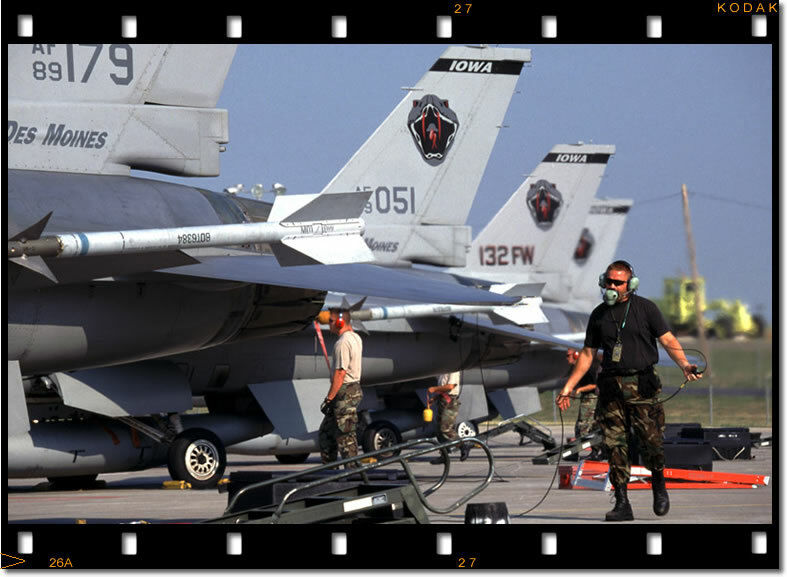 Located at the Des Moines International Airport, the Iowa Air National Guard's 132nd Fighter Wing can trace its roots back to February 1941 with the establishment of the 124th Observation Squadron. The unit at that time had 110 men, 27 officers (15 pilots), and operated North American O-47 and Douglas O-38 aircraft. 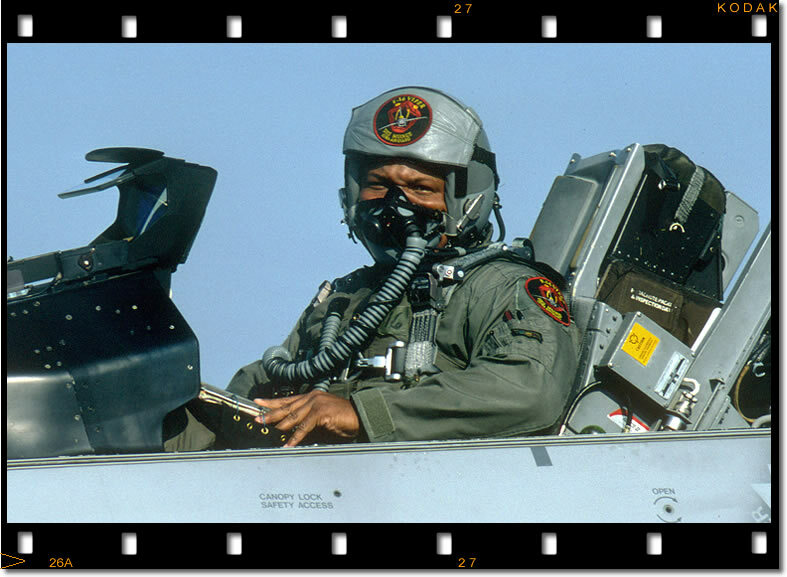 In the 61 years since activation, the 132nd Fighter Wing has participated in numerous conflicts beginning with World War II, then the Korean Conflict, and many of the support functions of Desert Shield/Desert Storm in 1990/91. Peacetime training detachments to Europe were also common. Between 1979 and 1991 they deployed their A-7s four times to Europe as part of the USAF 'Checkered Flag' training program under the code name "Coronet Stallion" in August 1979 and "Coronet Buffalo" in May 1985, both to RAF Waddington. 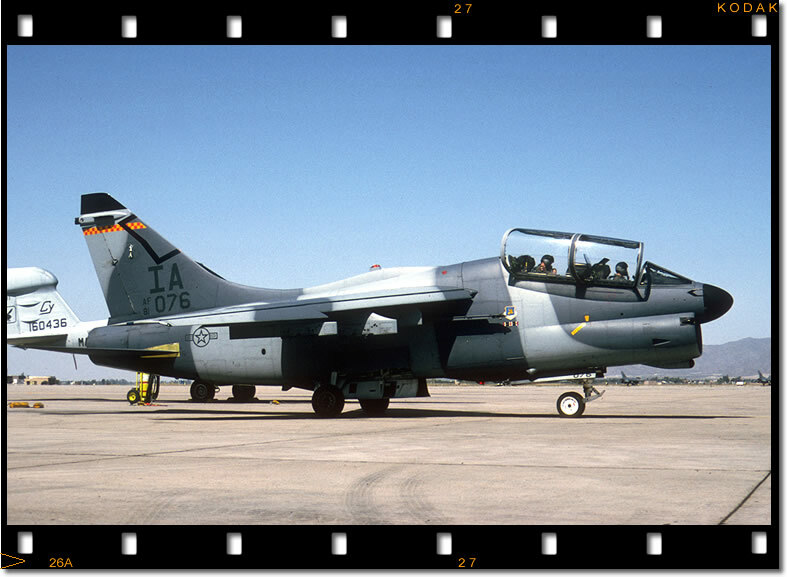 A year later the unit deployed under the codename "Creek Corsair" to Wittmundhafen, Germany and in 1991 they brought their A-7s to Europe for the last time for "Sentry Corsair", a TDY to Spangdahlem AB, Germany. More recent operations have included five separate ONW and OSW deployments as part of one of the Aerospace Expeditionary Wings. This is the first time that inventory F-16s have been re-engined with a higher-thrust engine. The ANG wanted to have enough aircraft modified to support an upcoming "rainbow" deployment to the Middle East. 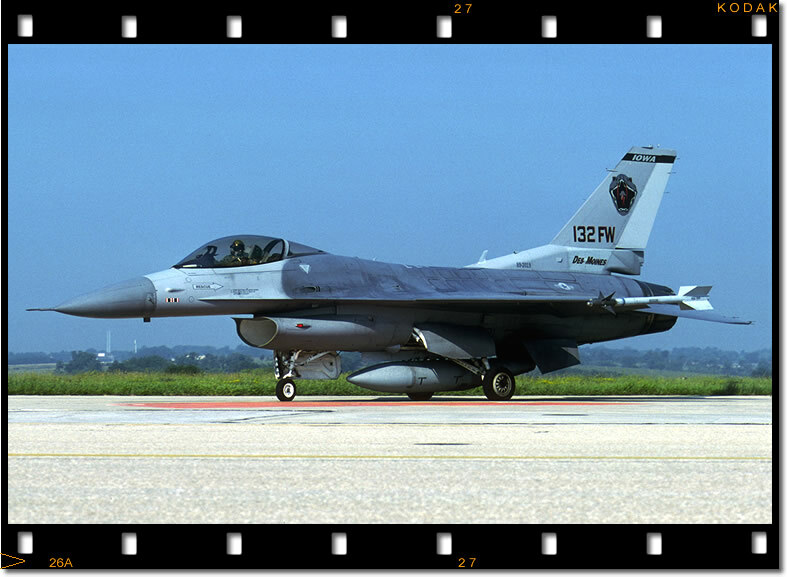 This is part of the scheduled 90-day Aerospace Expeditionary Force rotation commitment for the three ANG units operating the Block 42 version, namely the 112th FS Ohio ANG, 125th FS Oklahoma ANG and the 124th FS. Lockheed Martin also expedited fielding of a new software tape to provide compatibility with the new engine. 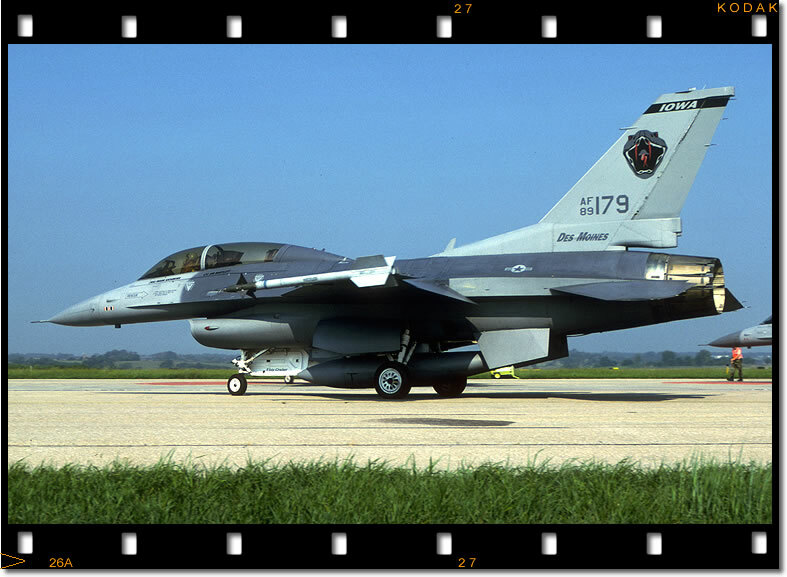 This tape also provides improvements to mechanizations for the Advanced Medium-Range Air-to-Air Missile (AMRAAM) and the Joint Stand-Off Weapon (JSOW). The new-built -229 engines replace the existing F100-PW-220 engines, which, in turn, will be used to re-engine some of the ANG's F-15 aircraft, which have the older F100-PW-100 engines. The 124th entered the jet age in 1953 with the F-80. Several conversions followed with the unit flying the F-84, F-86, F-89, F-100, and the A-7 aircraft. 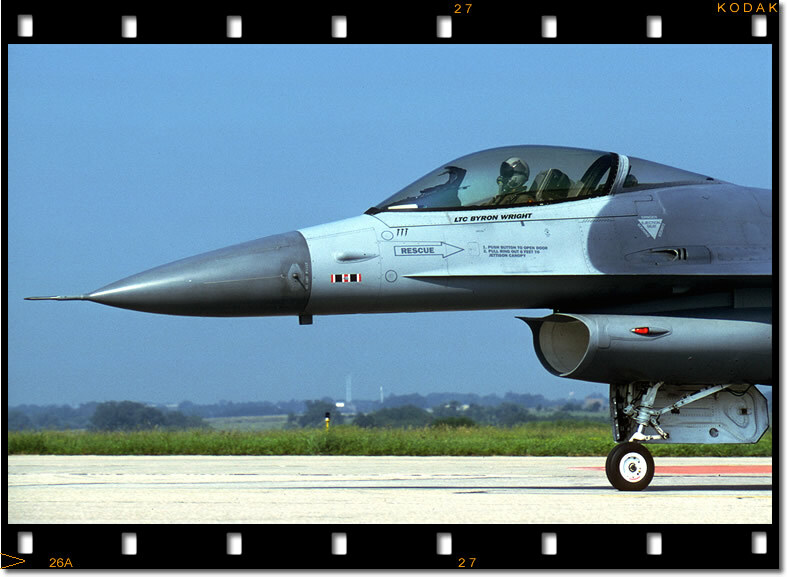 Conversion to factory fresh Block 42 F-16Cs took place in 1992. 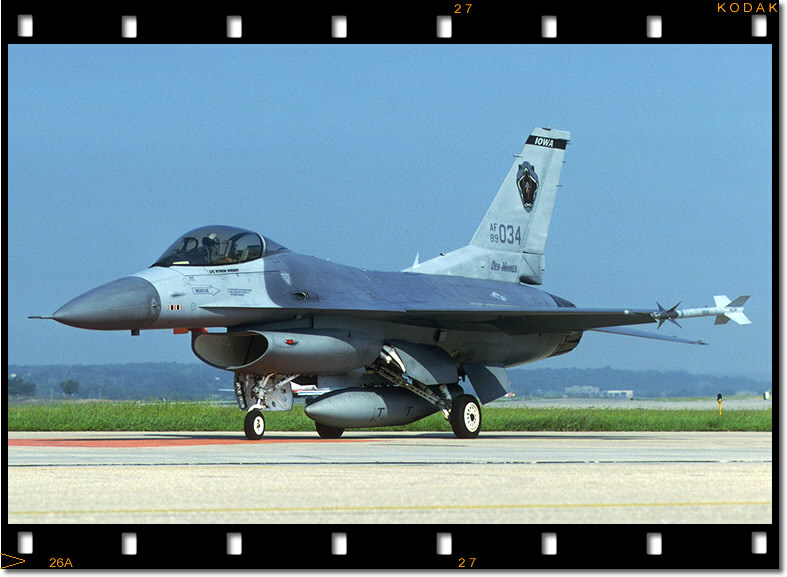 The unit recently began modifying its combat-coded Block 42 F-16C/Ds with the Pratt & Whitney F100-PW-229 Increased Performance Engine. 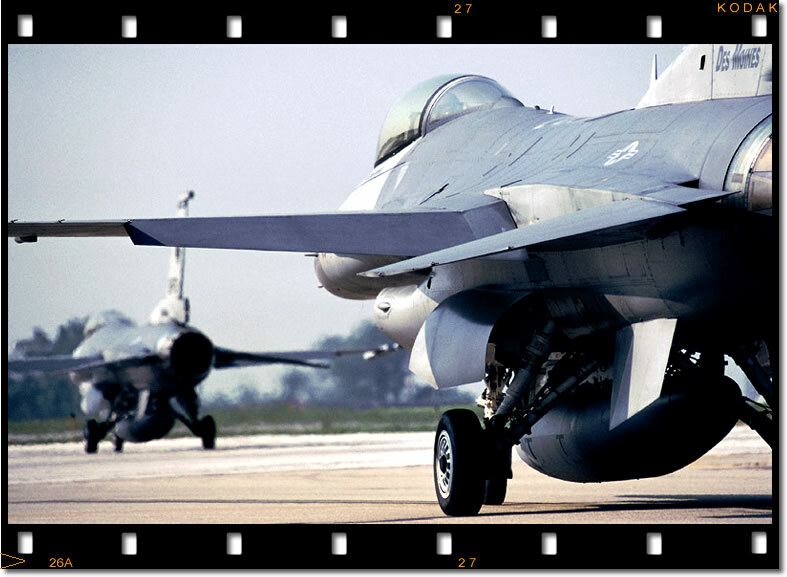 The F100-PW-229 engine is in the 29,000-pound thrust class and provides approximately 20 percent more thrust than the original F100-PW-220 engine in these aircraft. Four-man maintenance teams are able to modify the aircraft, swap out engines and do the necessary systems checks in a four-day, single-shift operation. We would like to thank the 124th FS/132nd FW, Iowa ANG for allowing us to visit the 'Hawkeyes' and in particular MSgt Tim Day, (Multimedia Branch Chief, 132 FW, IA ANG) for organizing as well as escorting us during our visit to the 124th Fighter Squadron. 'Just another day at the office, Dear' - Seated comfortably(?) in his ACES II ejection seat and wearing the latest fashion in fighter pilot headgear - a HGU-55P 'Combat Edge' - this Iowa Guardsman gets in some 'not so' light reading prior to the first training mission of the day. 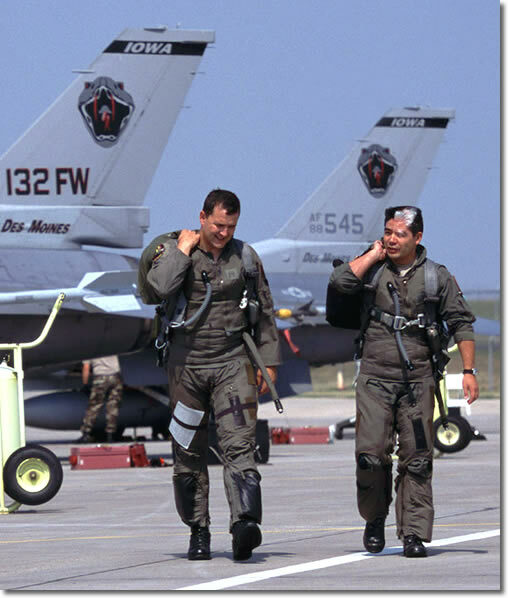 Mission accomplished - two 124th FS pilots walk back to debrief their Basic Fighter Manoeuvres (BFM) sortie over the Iowa countryside. One of these two pilots has the callsign 'Gizmo'..which one we're not sure!! The Hawkeyes operated A-7D/Ks from 1977 until receiving Vipers in 1992. Photographed here visiting Luke AFB is A-7K 81-0076. Of note is the IA tailcode which didn't make the swap to F-16s. 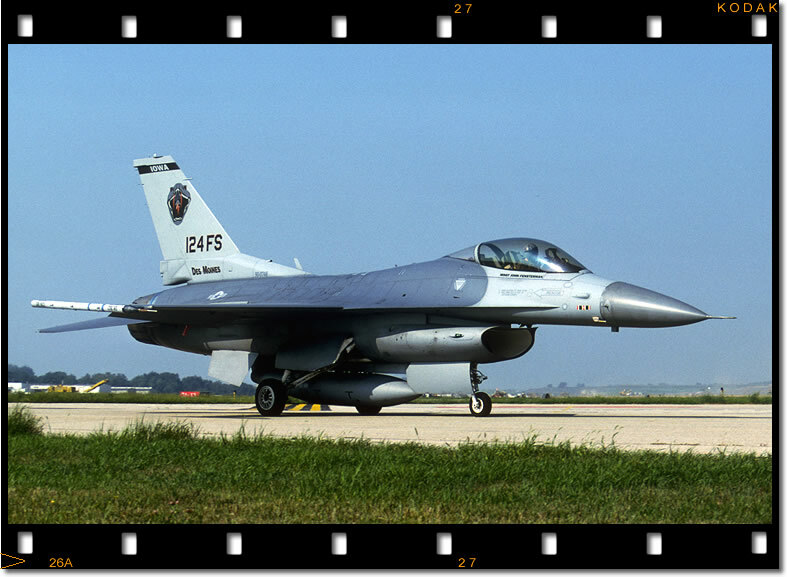 F-16C 88-0539 on Oct 11 1994 carries the original markings of the 132 FW, the Iowa State Flag, which earned the unit the (unwanted) nickname 'the Frog's'! 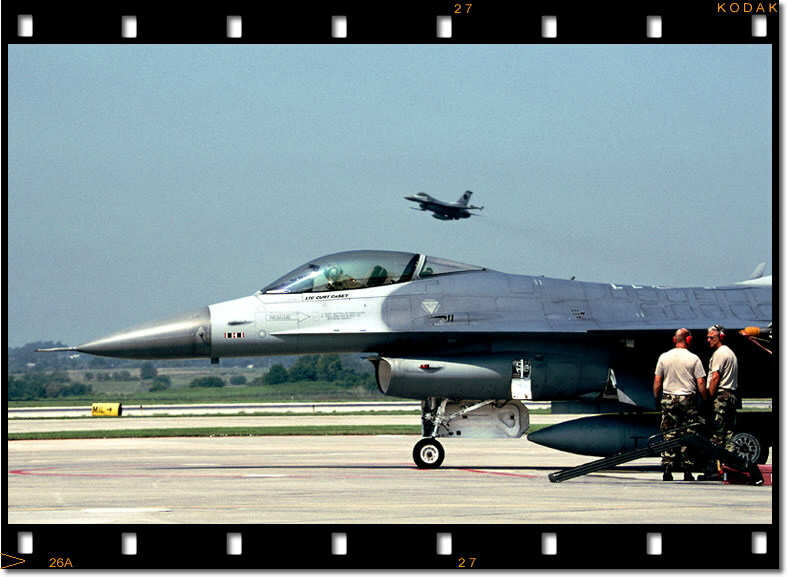 Two Iowa Guard Vipers have their last chance checks completed before departing on an early morning training hop from Des Moines IAP, August 2001. EOS-1N 70-200mm K64 200/F8 The majority of ANG 'Viper' units have a two-seater assigned, the 124th's F-16D is 89-2179, a Block 42 previously with the 57th WG at Nellis. 89-2034 'Hawkeye 52' heads for Runway 31 at Des Moines IAP. EOS-1N 70-200mm K25 250/F5.6 89-2034 carries three GBU-12 markings from a previous Operation Northern Watch (ONW) deployment. 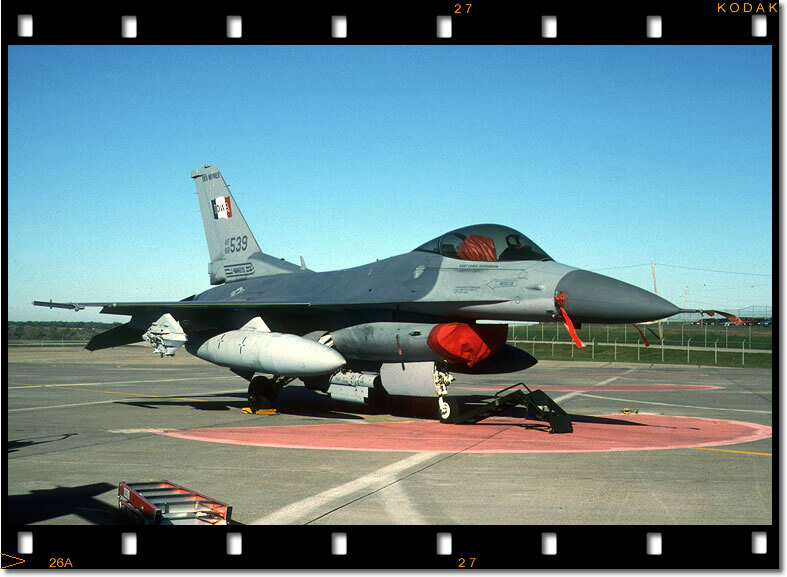 The Block-42 F-16C usually carries the Lantirn targeting pod under the intake although it is absent on this occasion. 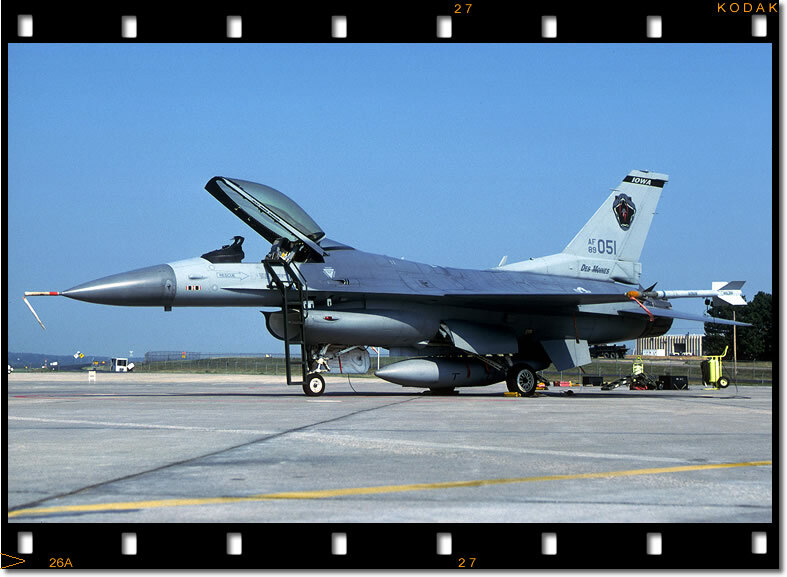 Awaiting it's 'driver' and the first mission of the day is 89-2051, a Block 42 F-16C which was delivered direct from the factory back in 1992. EOS-1V 28-70mm K25 125/F7.1 Displaying the current unit markings of a 'Vipers' head and also 132FW titles is 89-2019. 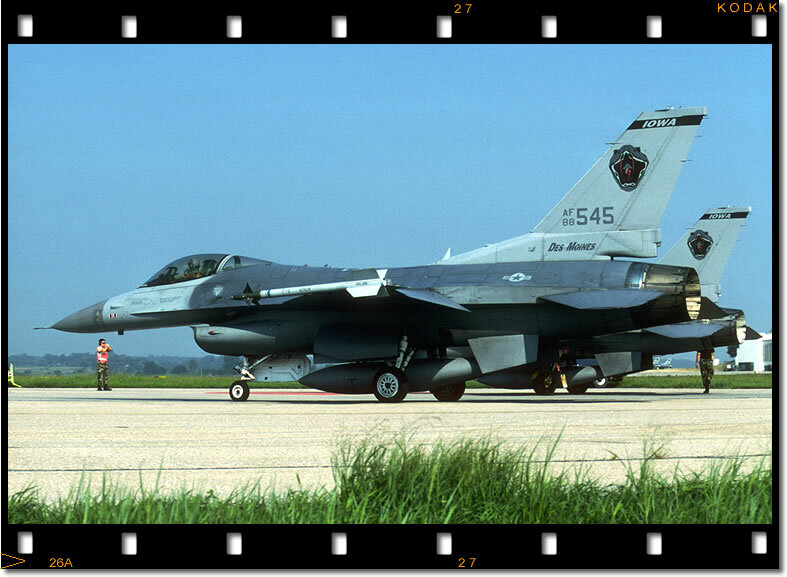 The 124th FS currently have 16 F-16Cs and 1 D-Model assigned. The 124th Fighter Squadron's 'FlagShip', 90-0748, returns to the End of Runway (EOR) area following a short training hop over Iowa. EOS-1N 70-200mm K25 250/F5.6 Two 'Hawkeyes' Block 42 Vipers head out to the runway at Des Moines Airport. Crew Chiefs monitor engine starts as the 132nd FW ramp comes alive for the morning 'go'. Hawkeye 51 comes to rest on it's parking spot while his wingman continues to practise low approaches at Des Moines Airport.